The Center helps you find the best resource for the challenge or opportunity your congregation faces. What is a resource? A resource is a book or a consultant. A resource is a website, a DVD, a facilitator, a coach, or a conference. A resource might be another congregation. It might be a conversation partner across town or across the country. A resource is any outside helper that, when combined with your congregation’s creativity, increases your ability to enhance and stay true to your mission. There is a world of help available to your congregation. However, not every form of help is a good match for you. It can be confusing to make sense of all the options available. 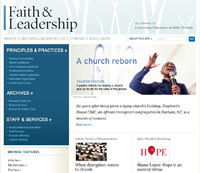 The Center for Congregations has a database with more than 6,000 resources about every imaginable congregational issue. By listening to you describe your challenge, we can make recommendations about which resource or resources might best help you achieve your goals. Sometimes the resource will be as simple as a web page with one crucial piece of information. 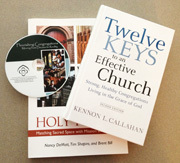 Other times the resource might be a consultant who would work with your congregation over several months. Of course, only you know for sure which resource is the best match for your congregation. But the Center has worked with hundreds of congregations, and we have learned that having a conversation partner about resources can be a helpful learning experience. We learn all the time from so many different sources – books, articles, other people, gatherings. These all help us on our life journey. Powerful and positive learning takes place when your congregational team finds just the right resource to help you learn about a congregational matter that is important to you. That’s why the Center for Congregations is available to you to help you find and use the best resource for your particular challenge.